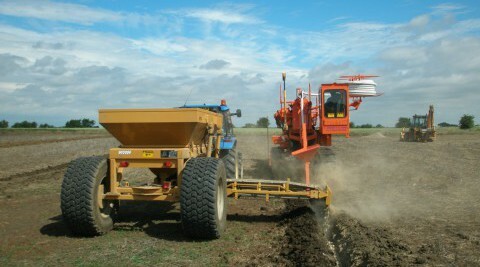 Mastenbroek expertise doesn’t just encompass the design and manufacture of trenchers. 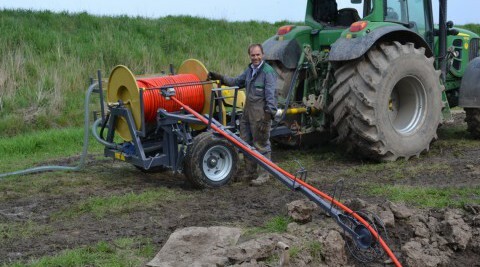 We also supply a full range of auxiliary equipment to complement your trenching operation and provide the performance, durability and reliability you’re looking for. If you have additional auxiliary equipment requirements, please contact us. Our versatile CT12 crawler truck boasts a low ground pressure suspended and oscillating undercarriage, high tracking speed and a tipping hopper for dump truck applications. Tramline trencher tracks result in minimal crop damage. This GT8 heavy-duty, tractor-towed backfill trailer is designed for sand or gravel and features a long-reach conveyor with variable height and speed for accurate discharge directly into a trench or trencher-mounted hopper. With a simple reliable design, our high-pressure, high-volume, heavy-duty self-priming piston pump enables the P15 to jet and clean sub-surface land drains which are highly sedimented.